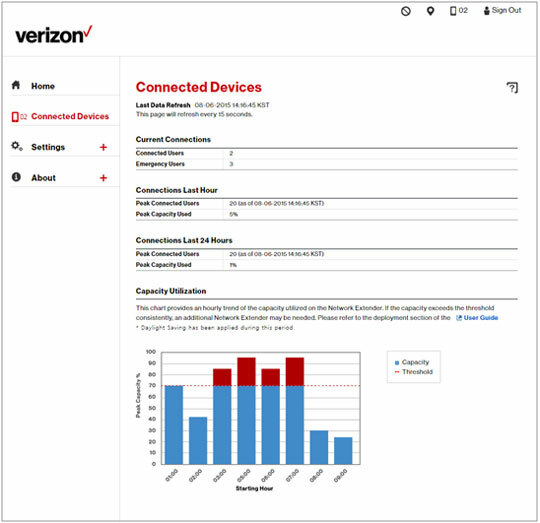 Identify currently connected users and capacity utilization of the 4G LTE Network Extender. The PC must have Internet Explorer 9 & above to access the web interface. Access the Network Extender Admin then click Connected Devices (on the left). Ensure usage does not exceed capacity.